Border Guard Bangladesh (BGB) Job Circular 2019 has been published by BGB – Border Guard Bangladesh. Border Guard Bangladesh (BGB) Civil Job Circular 2019, Shimanto Proyash Job Circular 2019 Under BGB, Border Guard Bangladesh (BGB) 92 batch job circular for Seepahi (GD) for male & Female candidates etc. published on our website which is jobs.Lekhaporabd.com. BGB job circular 2019, Application processes etc available all related information is now published here. 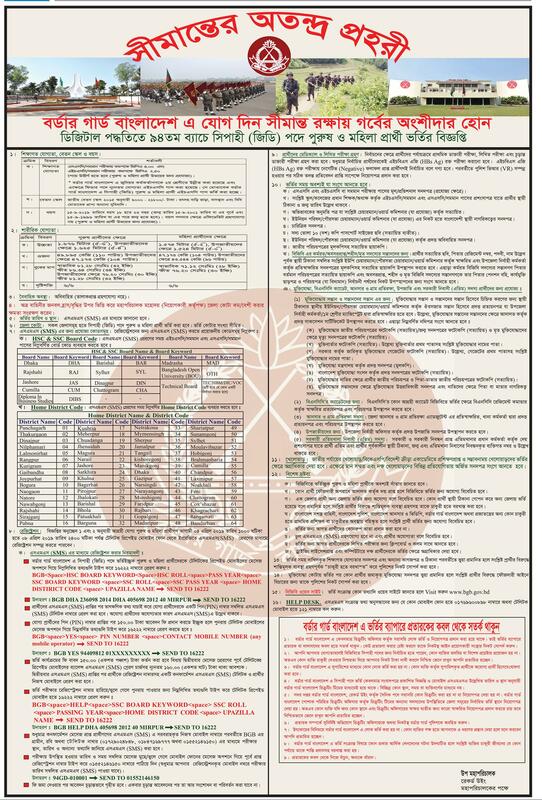 More job circular under Border Guard Bangladesh (BGB) will be also published here. So keep your eye regularly to Lekhapora BD jobs to get regular update of BGB Job Circular 2019.
diploma ses amr ..ami ki bgb te application korte parbo ???? Ami mymensingh ak bodar basinda.ami hindi urdo garo vasa mutamuti jani and bodar bisoye kicho darona ache.tai ami bgb te join hote khuv agrohi.BOU hote SSC/HSC/BA/BSS pass kore ki bgb te appy kora jai and ki pothe join korte parbo sorbotcho koto bois taka dorkar.please adibasider jnno char koto percent. বিজিবির সার্কুলারটি সত্যি নাকি মিথ্যা? Ssc ty abadon kora jaby?